Includes a free preview of future issues in the collection Greatest American Presidents + . For more information, please refer to the Satisfaction Guarantee tab below. If you do not wish to preview future issues in the collection, you may purchase the single item using the 'Individual Item Only' tab at right. Inspired by his father's public service, George H. W. Bush believed from an early age that it was his duty to contribute to the greater good. Following the attack on Pearl Harbor in 1941, Bush enlisted in the U.S. Navy and, at just 18 years old, was the youngest aviator in Navy history at the time. After the war, Bush graduated from Yale on an accelerated schedule and formed his own oil company, which eventually made him millions. However, he still felt a duty to the public and eventually served in Congress and was named director of the CIA. When Bush failed to win the Republican presidential nomination in 1980, he became Ronald Reagan's Vice President, and won the presidency for himself after Reagan's terms. As President, Bush focused on foreign policy, striving to remove corrupt dictators from power around the world. Sending troops into Panama, Bush ousted General Manuel Norriega and later faced down Saddam Hussein's attempt to invade Kuwait with a 100-hour war. After leaving office, Bush settled in Texas with his wife, but continued to serve in numerous non-profit organizations, such as the Eisenhower Fellowships program and Points of Light, an international organization. On November 30, 2018, George H.W. Bush passed away at the age of 94 as the longest-lived president in U.S. history. The nation mourns his loss, but will continue to celebrate his legacy and his decades of public service. The George Bush commemorative coin from American Mint honors the many contributions made by this remarkable war hero, politician, and statesman. Luxuriously layered in gleaming 24k gold, this proof-quality piece features a meticulously detailed portrait ofPresident Bush on the obverse, while the reverse includes the stylized presidential seal emblazoned with the bald eagle. Whether you're an avid coin collector or a presidential history aficionado, you'll be proud to own this item. At American Mint, we want our customers to build a fabulous coin collection without spending a fortune. 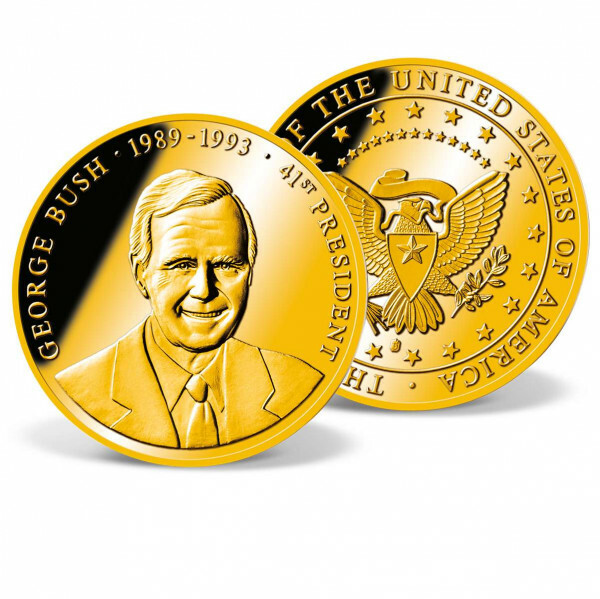 Buy your George Bush coin right now at a deeply discounted online price. If you'd like to include more of our presidential commemorative coins, you might also qualify for free shipping, which applies to all orders of at least $150. You can even pay in interest-free installments if you spend more than $100. We've limited the minting of the George W. Bush coin to only 9,999 complete collections worldwide, so don't wait until it's too late. You can place your order online quickly and securely. 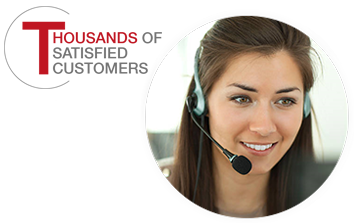 If you have questions or need assistance, give our friendly customer service team a call at 1-877-807-MINT Monday through Friday between 8 a.m. and 8 p.m. EST. And don't forget to check out ourcomplete line of presidential coins and other high-quality collectibles! By ordering a product at the discounted price, you will have the privilege of receiving future issues in the collection through our FREE in-home approval service. No further action is required on your part. If you do not wish to preview future issues in the collection, please select the Individual Item Only Tab above. The American Mint Preferred Collector’s Price is guaranteed for you. You will be billed only for the items you decide to keep. If you pay by credit card, future shipments will not be charged until 25 days after the invoice date. You are under no obligation! If you are not satisfied with any item that is shipped to you, you may send it back within 20 days at our cost for replacement, credit or refund. American Mint has no minimum purchase requirements. You may cancel this service at any time by calling toll-free 1-877-807-MINT.